Do you need a pickup truck that’s perfect for the toughest job? Consider the 2019 Chevy Silverado 2500HD and 2018 Nissan Titan XD. These models are beneficial to drivers for a number of reasons, but which one is best for your lifestyle? Our in-depth comparison takes a look at the Chevy Silverado 2500HD and Nissan Titan XD differences, so continue reading to begin your research. If you’re unfamiliar with the Silverado 2500HD, you can learn more about it here. Don’t forget to check out the new vehicle inventory at our Chevy dealership near Gary, IN as well. In this comparison, we’ll look at the 2019 Chevy Silverado 2500HD LTZ, starting at $50,795 MSRP, and 2018 Nissan Titan XD Crew Cab SL, starting at $49,910 MSRP. With the 2019 Chevy Silverado 2500HD, you’ll find a 6.0L Vortec® V8 engine standard, and on the Nissan Titan XD, a 5.6L V8 engine. If you’re looking for diesel power and efficiency, both vehicles are also available with a diesel engine as well. Drivers looking for ultimate towing power should consider the Silverado 2500HD. It can tow up to 14,600 lbs. while the Nissan Titan XD is only able to tow up to 11,280 lbs. The Silverado 2500HD and Titan XD share some features, like heated front seats and a heated steering wheel, but they are unique in so many other ways. 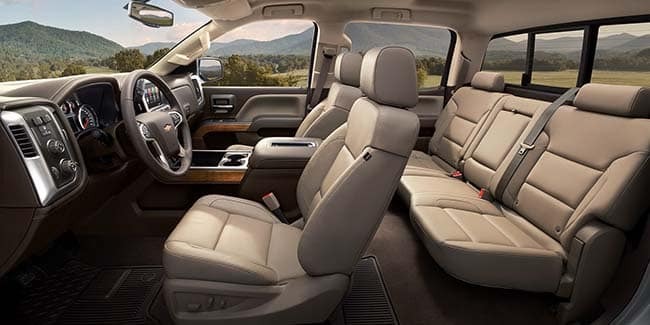 Explore the 2019 Chevy Silverado’s interior and exterior features below. Hidden underseat storage is standard on the Silverado 2500HD and not available on the Nissan Titan XD. You’ll find 18-in. chromed aluminum wheels on the Silverado 2500HD and 20-in. silver-painted aluminum-alloy wheels on the Titan XD. Both vehicles come with an easily accessible tailgate, but we’re certain you’ll prefer the EZ-Lift and Lower tailgate on the Silverado 2500HD. Do you need the latest technology and safety features? 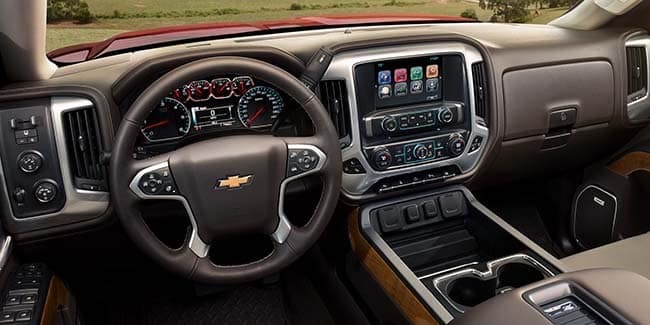 The Silverado 2500HD and Titan XD have plenty of modern systems available, but you’ll find a few particular features on the Chevy that you’ll surely appreciate during your daily drive. OnStar® and Chevrolet Connected Services, exclusive to the Chevy Silverado 2500HD, automatically alert emergency services after a collision. Get reliable Internet access with the 4G LTE Wi-Fi® hotspot, also exclusive to the Silverado 2500HD. Once again, another significantly beneficial feature, Teen Driver technology, is standard only on the Silverado 2500HD. Schedule your Silverado 2500HD test drive at Mike Anderson Chevrolet of Merrillville today! If you need more information on the Silverado 2500HD or any of the services we offer, contact our Chevy dealership near Gary, IN by sending a message or calling (219) 947-4151.